I have been reading a nice paper by Matthew Sharpe, published as chapter 3 in The Handbook of Virtue Ethics, edited by Stan van Hooft & Nafsika Athanassoulis (Acumen Publishing, 2014) (downloadable here), and have discussed its first three sections in my last post. Here I conclude my analysis of the paper, covering sections 4-6. Another significant difference between Aristotle and the Stoics is that the former made a distinction between epistēmē (theoretical wisdom) and phronēsis (practical wisdom), and then between those two and technē (technical knowledge concerned with arts and crafts). But for the Stoics virtue is both technē and epistēmē. John Sellars, Sharpe reminds us, interprets this as suggesting that Stoic virtue is a kind of “performative art of living,” a really nice concept, I think. Here is a very insightful passage from Sharpe: “The Stoics’ famous opposition to the pathē or passions — seemingly their greatest break with Aristotle — turns on the thought that passions like anger, fear, urgent desire (epithymia) and hatred each reflect and embody more or less unconditional psychological attachments to external things, as if they were necessary to our eudaimonia.” Which, of course, they are not. There is a whole new book on the virtue of courage in ancient Greece, which I intend to read as soon as possible and report on. Meanwhile, the fifth section of Sharpe’s paper takes on this and related topics from a Stoic perspective. Megalopsychia, then, is a species of courage, one of the four cardinal virtues of Stoicism, which elevated it to a much more prominent role than Aristotle did. At the onset of this section Sharpe reminds us of a famous observation by Bernard Williams, one of the most prominent ethical philosophers of the 20th century. Williams pointed out that from the Greek / eudaimonic perspective, our modern moral philosophy would seem to be concerned with a narrow range of subjects, essentially falling under the single virtue of justice. Their concept of justice was much more enlarged, and this is even more so for the Stoics. Proper actions (ta kathekonta), Impulses (hormai), Cases of endurance (hypomonai), and Distributions. The four primary virtues, as is well known, are, respectively: Phronēsis (practical wisdom), Sophrosyne (temperance), Andreia (courage), and Dikaiosyne (justice). Each of the primary virtues has a number of subordinated virtues. For instance, under practical wisdom we find good judgment, discretion, shrewdness, etc. ; under temperance we have propriety, sense of honor, self-control; under courage the Stoics listed perseverance, confidence, magnanimity (see above); and under justice they included piety, kindness and sociability. The Stoics went further, though, claiming for instance — rather counterintuitively, it must be said — that logic is a virtue. That’s because dialectic, the activity of engaging in rational discourse, is more than just an activity, it is a type of excellence that ought to be cultivated. Even more so for the care with which one arrives at (rational) judgment, a logical (in the broader, Stoic sense of the word) skill of eminently practical importance. 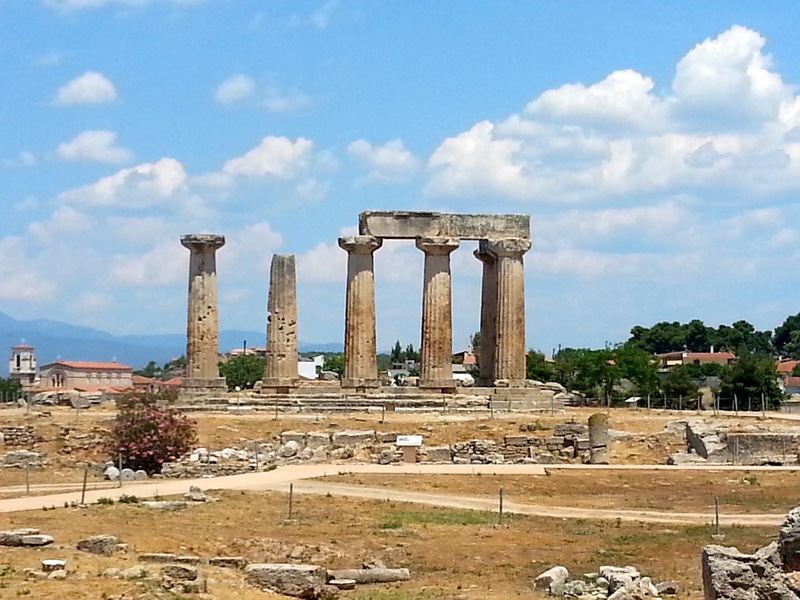 This entry was posted in Ancient Stoicism, Virtue Ethics on July 23, 2015 by Massimo. “There is a straightforward naturalistic interpretation of the connection between ethics and physics as well: the basis of the Stoic discipline of desire — i.e., the ability to recognize and accept what happens in the universe.” Would the Stoics, then, see a politician’s refusal to recognize and accept climate change as an ethical failing in the sense that it denies the virtue of “physics”? Is this part of Stoic virtue in any way related to scientism? I wonder what a ‘deliberate practice’ for the craft of virtue, in the modern age, would look like. ah, interesting question about scientism! No, I don’t think there is a danger of that. I take the Stoic position as the eminently reasonable stand that living a eudaimonic life requires basic knowledge of how the world works, as well as of human nature. That doesn’t reduce ethics to science, which is why they studied the three foundational fields (“physics,” “logic” and ethics) together. I think pretty of people deliberately practice virtue in the modern age. That certainly includes Stoics and Buddhists, and I would hope also a number of other religious or non-religiously affiliated people. Whether they would phrase it that way is a different issue, but not as relevant. Hi Massimo. Very interesting. I’m trying to understand what is meant by virtue being contingent on understanding the whole purpose of nature. You call this a theological point, but obviously the Stoics regarded it as important for virtue, so it seems important to understand. At least for the historically interested. Since the Stoic Cosmos simply cycles through infinity, ‘purpose’ can’t mean something like a final goal toward which the whole Cosmos is working can it? So, I assume ‘purpose’, for the Stoics, means something like function–or things doing what it is their nature to do. So, the ‘whole purpose’ of nature would mean something like the ‘primary function’ of nature. Does this sound right? Assuming I’m understanding Stoic ‘purpose’ here, is a well-functioning plant or animal really included in what is meant as the primary function of nature? Or is the primary function of nature more about the well functioning (rational) mind of (or logos in) humanity which reflects the universal logos? Or, In other words, the oikeiōsis of a plant or animal seems pretty much restricted to self-preservation. The oikeiōsis of a virtuous human individual includes all of humanity. So, is it the case that virtue is more than the only and highest good for humanity–but is human virtue also the only and highest good (the primary function) of the Cosmos itself? What else could possibly be meant as the ‘whole purpose’ or primary function of the cosmos if not that? I know this sounds speculative—and I do have my own philosophical motives here, but I’d really like to know if this reflects what the Stoics were thinking as a matter of historical interest. Bill, I think you got it pretty much right. Oikeiosis is a concept that has to do with proper function, and for the Stoics the universe was organized rationally (the Logos), so everything has a proper function. And the proper function of humans is to use reason and live socially. What I’m not sure of is whether one can talk about the proper function of the universe itself, since that would require some sort of external standard, but according to Stoic cosmology there is no such standard available. Interestingly, this reminds me of Ungerer and Smolin’s recent book, The Singular Universe and the Reality of Time. They argue that it is a mistake to apply what they see as local scientific laws, such as Newtonian mechanics, to the whole universe, because the universe doesn’t exist inside another environment, thus violating the logic of how we have arrived at the formulation of physical laws to begin with. Several places in their book reminded me of the Stoic take, including their consideration of a pulsating universe always identical to itself. The latter is the Stoic cosmological model, though Ungerer and Smolin reject it, I think for good reasons. Off topic, but Science Daily has a short article on causation and time which may be interesting and germane to any number of discussions here and at the salon.